Auditing is one of the recent features in Power BI Preview which can be a great tool for monitoring what is going on in Power BI. There were a number of people who asked for this feature on the Power BI Ideas site, which shows that Microsoft is responding to what is posted there. When I read about auditing, I thought that it was a Power BI feature. While that is true, the scope of auditing is much bigger than Power BI. Auditing is designed for Office 365. Yes, you can turn it on for Power BI, as well as for SharePoint and a number of other Office applications. Since auditing is really an Office 365 tool, one has to be an Office 365 admin to be able to be able to access the tool, as it is turned on from within the Office 365 tenant. To be able to audit anything, you need to wait 24 hours until after it has been turned on to receive any data. It doesn’t go back in time, which is unfortunate as usually you figure out that you want an audit after something happens, and then it is too late. Best to just turn it on now. If you have free users and Pro Users, you will notice that you only get auditing for the pro users. Clicking on the gear in the upper right corner of the Power BI Service will take you to the Admin portal. 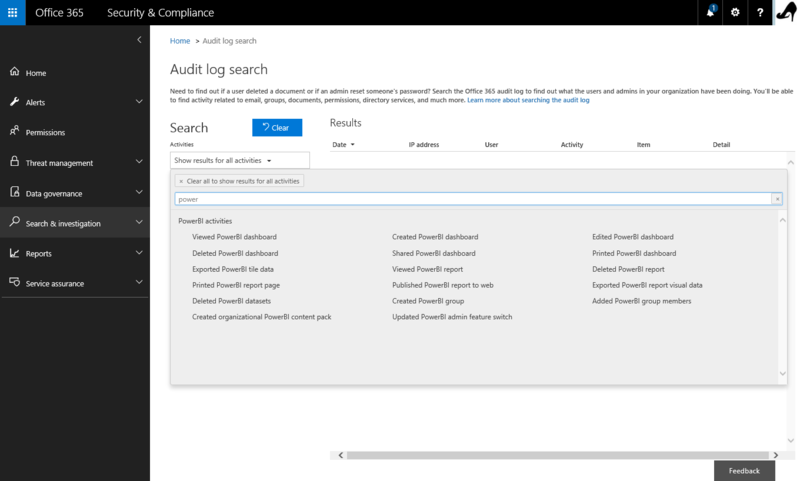 If you select audit logs, the screen has a button on it which opens Office 365 Admin Center. Clicking on the search box will show all of the applications which have audit logs. 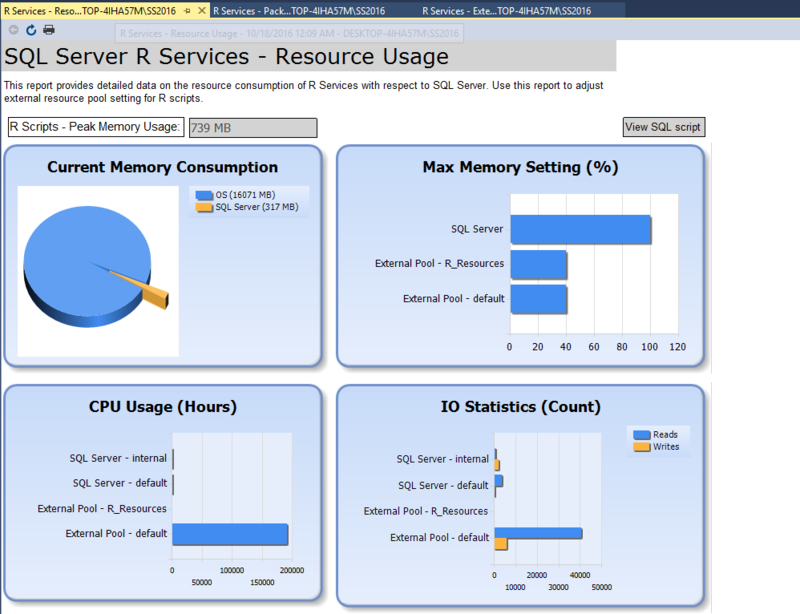 Scroll down to Power BI activities. The screen starts responding as soon as you start typing. I got as far as Del, and the screen changed to show only the items Deleted.It’s a pretty neat feature and a simple way to monitor what is going on in Power BI. I am going to be talking about more methods to administer Power BI at IT/Dev Connections. If you are attending, please come by and say hello. I would love the chance to meet more people who read my blog. For those of you who are not in Vegas this week, I will be posting more information on Power BI and R to provide supplemental material for my sessions. Check back later in the week or please subscribe to my blog for the highlights. 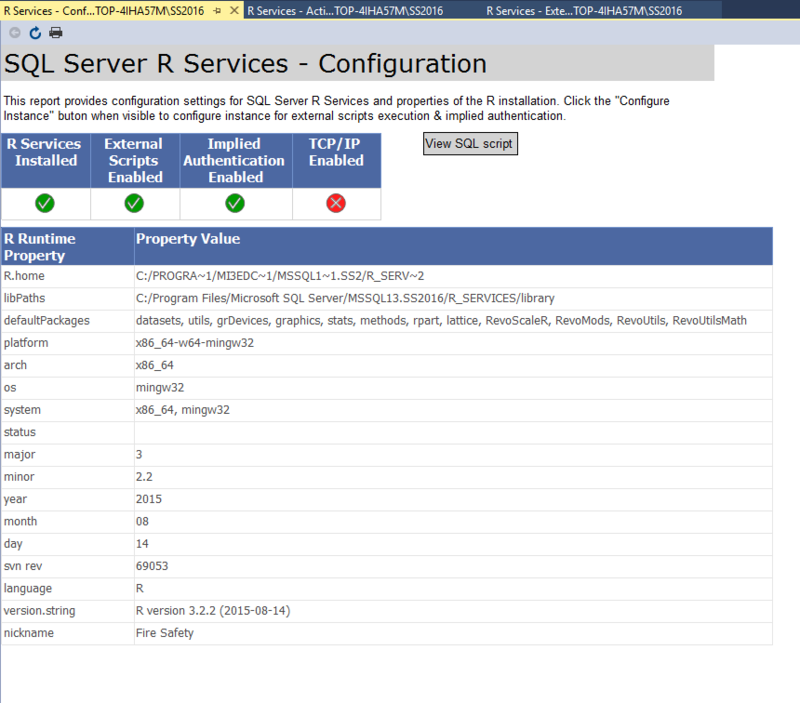 Notice I told the USQL where to find the dlls, in the Assemblies folder. This step only needs to be completed once per data lake. After this job successfully runs, then the dlls which allow the JSON to be parsed, can be referenced. Now that I have added the JSON to the Data Lake and the assemblies have been added, I can write some USQL to Parse the JSON. 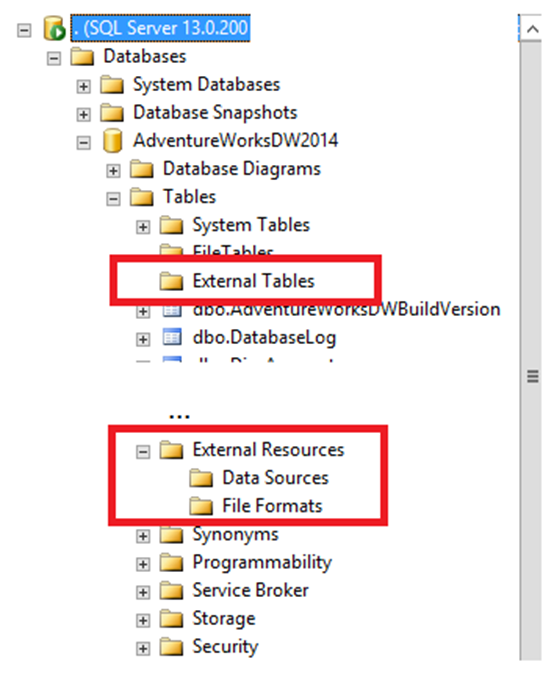 First I will need to reference the libraries, then create a schema, as there is no schema for a Data Lake. After those steps are completed, it’s possible to write SQL to query a JSON file. There is no UI to look at the results, so the results will be writing to a file. I am going to output the data to a csv file called JSONOutput.csv. Here’s the code to do that. 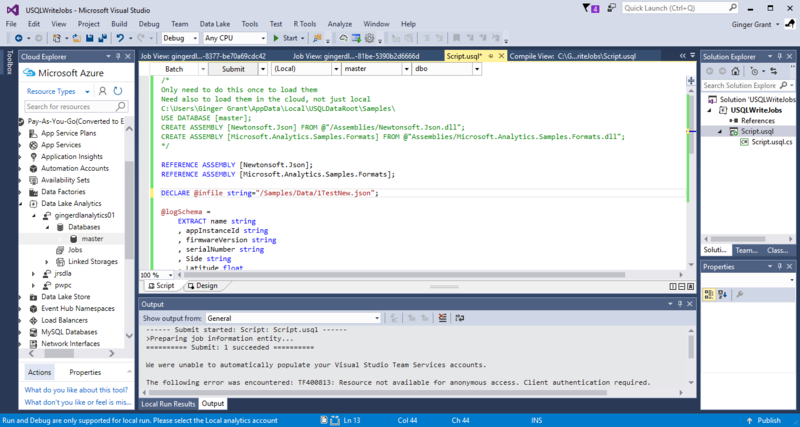 Using Visual Studio, I am running the USQL Job. There isn’t much data to parse, and you can see in the summary widows that it took 21 seconds to prepare, and 33 seconds to run. When go to the web and look at the Data Lake Analytics page, I can also see that the job completed. I have noticed that this appears pretty close to the same time on the web and on visual studio. Clicking on the bar graph represented by today will allow me to select the job which ran, showing the same screen as appears in Visual Studio. Thanks to Erik Zwiefel and Mark Vaillancourt b | t both of Microsoft for helping me figure out the process to use JSON in Data Lake Analytics, as I didn’t understand the steps which are required to parse JSON. I hope this blog makes it possible for you to figure out how to make it work. The pricing for USQL is based upon how many Analytic Units and Completed Jobs. To decrease the amount of money being spent, it would be most efficient if only completed jobs ran on SQL, not the 27 times the job was run to debug it. Fortunately, all of the debugging can be performed locally and only working jobs need to be run. Another thing that you may notice if you are exclusively using the Azure Portal for running Data Lake Analytic jobs is there is no way to actually save a job. Once the job is completed, you can review the job then click on the View Script button. Don’t rely on the button though, because for reasons unknown, sometimes the View Script Button is not enabled, meaning that it is not possible to see what ran. There are a few steps required before any code is run. If the Data Lake Analytics Tools are not installed within Visual Studio, download them here and install them. When the tools are installed, the menu item Data Lake appears in Visual studio. The second step is to model your PC with the same file structure as your data lake. The default location which the Data Lake tools will look for your data structure is C:\Users\<<insertyourname>>\AppData\Local\USQLDataRoot . What this means is if you have folders and subfolders created in your data lake, your PC needs to have the same structure, including the data. 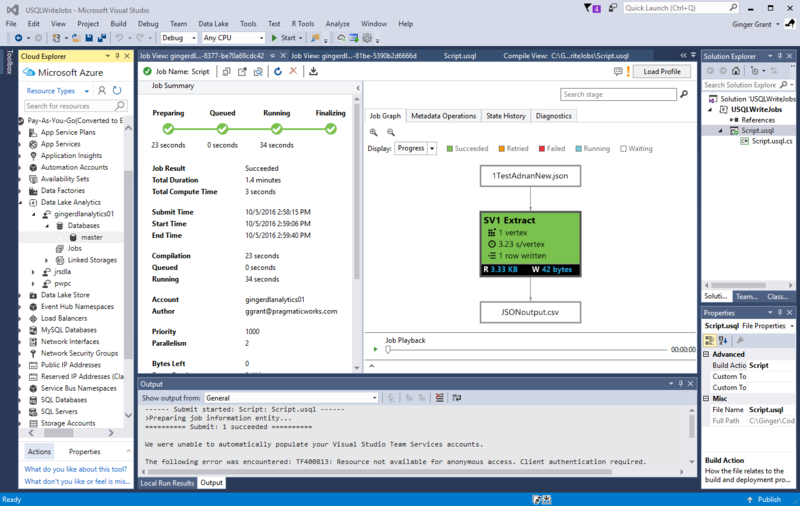 If you take a look at the screen picture of Visual Studio with the data lake installed, you will notice a series of buttons at the top of the screen. The middle button currently is set to (Local). 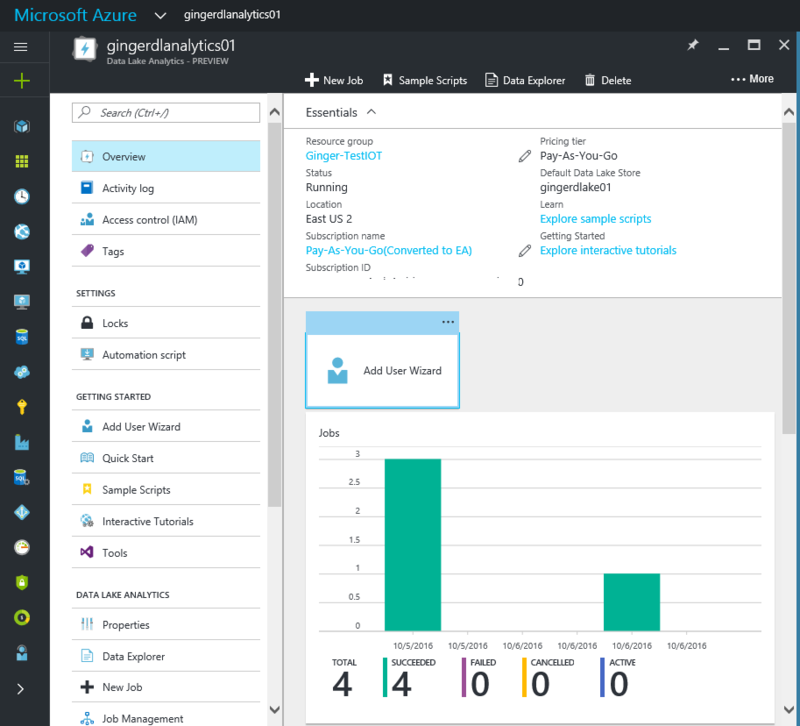 The drop down box at the top of the top of the screen will allow you to set the job to either your Azure Data Lake Analytics instance or locally. If it is running locally there will be no charges incurred on Azure. Also in Visual Studio, of course you can save the name of the USQL file. When the context is switched to the Data Lake Analytics instance from Azure, you will probably want to check out the Summit button. There is only one option, Advanced. In this window, you can change the Job name. It is default set to the name of the script being run, but if you are running the same script over and over, you may wish to change this name so that the different instances can be identified. 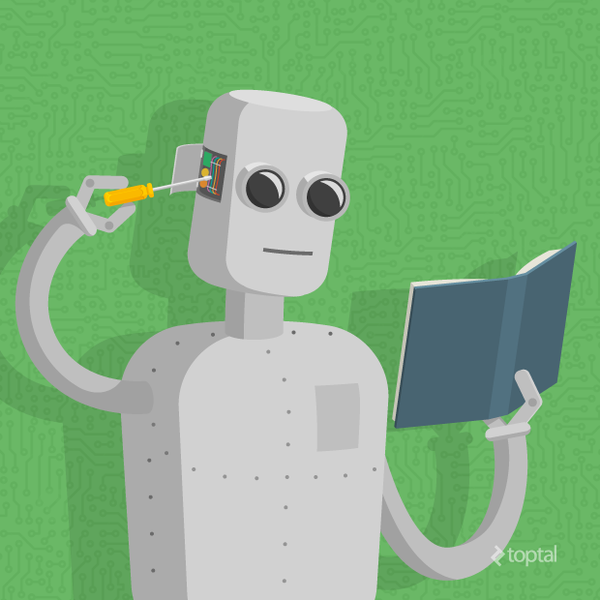 Parallelism can also be set to the value that is actually being used in the job. Take a look at the job view, which is the tab to the left of Script. 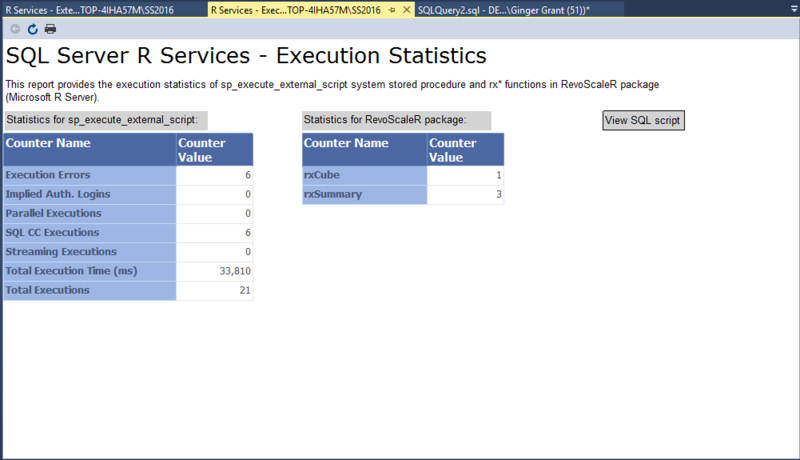 This screen shows the processes in use when the job is run and set the value accordingly. 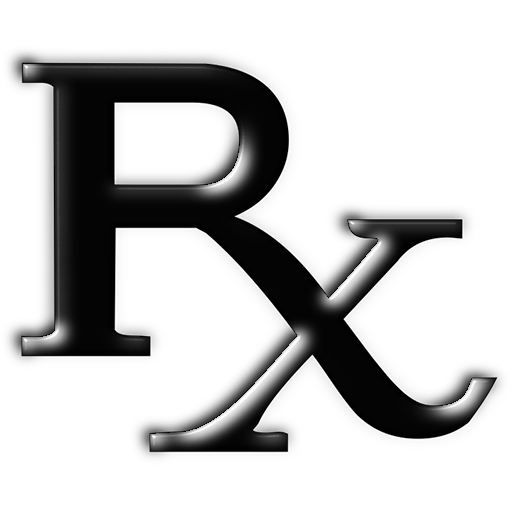 You will be charged for the Parallelism value that is set, not the amount actually used. Setting to a lower value can decrease the cost of running a job. The tab on the far left, shows the job with the same view shown in the Azure Portal Stream Analytics job. That screen is shown below. Running on Visual Studio also has the benefit of less changing between screens than the Azure Portal, which is another reason to develop here. Now that I have this environment set up, I plan on writing all of my Data Lake Analytics jobs here, as I find the development environment works better for me. Let me know what you think of it by commenting below. If you are interested in finding out more about running Data Lake Analytics Jobs, especially if you are trying to parse JSON, please subscribe to my blog as that topic will be in an upcoming post.